Gabriel's Christmas party was last night. It featured 25 children, ages 2.5-5, sprinting through the church parish on a sugar high. It also featured a Christmas concert with those same said children. I don't know if I've mentioned that Gabriel goes to the same preschool that I attended as a child, but he does. And last night I met two other parents and one of his teachers that went there at the same time. 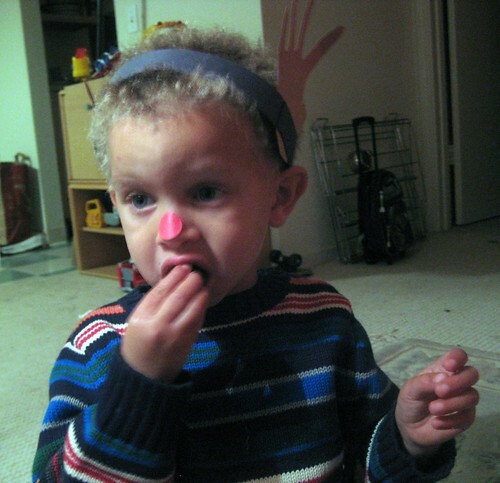 I am a parenting FAIL, and didn't have my camera at the party itself, but I did take some pictures when we got home. I'm feeling more Christmasy and cheerful already! 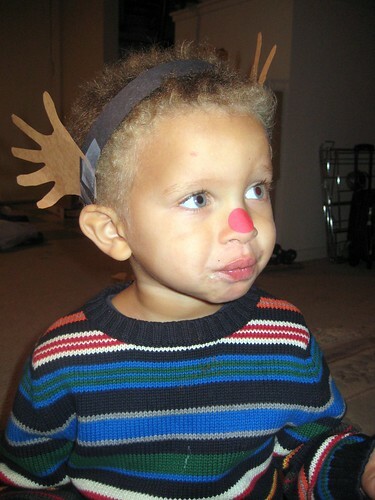 your posts are great - and your son is gorgeous - those eyes outshine that rudolph nose! no need to consider this a fail - you got great pictures without any of those other kids in it on a sugar high - hardly a fail at all! 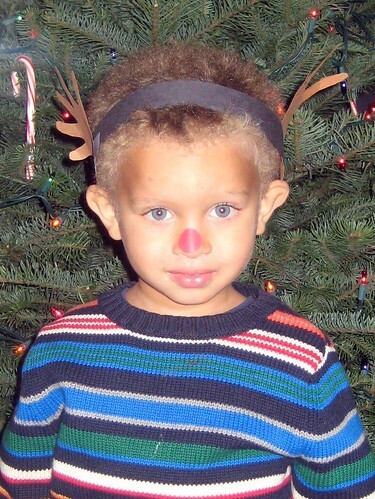 Cutest reindeer ever. I hope he came down okay off the sugar. Jenny I just died....he is so adorable!! I love the one in front of the tree with the lights on! Are those his hands turned into antlers? Those are indeed his hands as antlers. It was really hard to get a good photo in front of the tree because my camera flash? Totally cancels out the Christmas lights. I love these close ups. He's truly a beautiful child. He is SO freaking cute! Love the tree.....glad your found that spirit! I hope you realize the second you get professional headshots done of this guy you will be able to quit your job and be a stage mom the rest of his childhood. Seriously if you visit LA for some reason they're going to steal your child from you and make him star in movies with adorable talking pets or something. This is NOT a fail! I think you are doing a great job and the entire day was a success! Good Job Miss Grace! Ok, so NOT a fail. You can't take the camera to everything. These pictures are perfect...and he's and adorable lifesaver! He's so adorable! 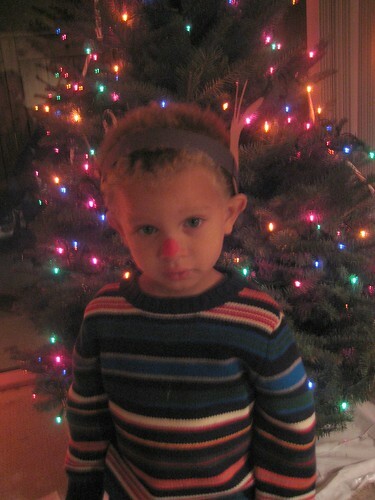 I love kids at Christmas, in costumes and all dressed up.